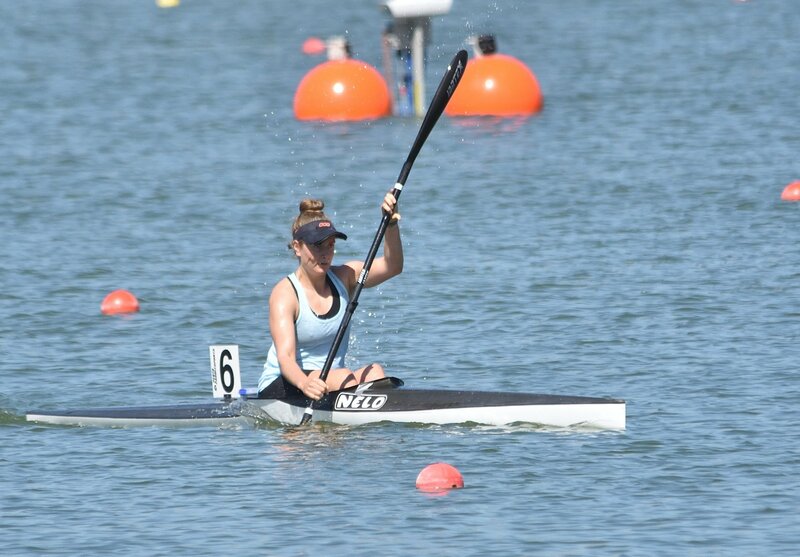 Despite the challenging conditions on the weekend, athletes put themselves to their limits at the 2019 Canoe Sprint State Championships at Champion Lakes on Saturday the 19th January. Stuart Hyde (Competition Manager), Lawrence Greed (Chief Official), Yvette Berry (Timing), Steve Egger (asst. Video Timing), Michele Lloyd (Chief Finish Line Judge), and to our starters Allan Ribbons, Dave Boldy & Mark Alderson. Racing kicked off with the Open MK1 500m. Due to the large number of entries, two heats had to be run with the top 8 progressing to the A Final, and the rest to the B Final. Jesse Phillips, Lachlan Armstrong, Daniel Humble & Brett Cassidy were amongst the fastest in this class who made the A final, although it was National Marathon Champion Josh Kippin who won gold with a time of 1:46.619. Josh backed his 500m win up with another gold medal in the 1000m A Final, just 2.3s ahead of Lachlan Armstrong. However, it was Jesse Phillips who got the better of Josh in the 200m final, where an impressive burst at the end saw Jesse win gold by just 0.346s. 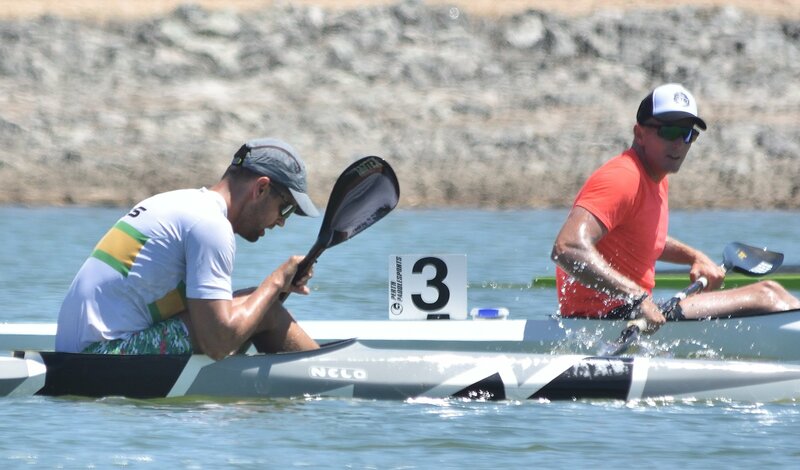 In the Open K2, Josh and Jesse proved a strong combination by picking up gold in all three distances. They completed the K2 200m in a time of 33.13 seconds. 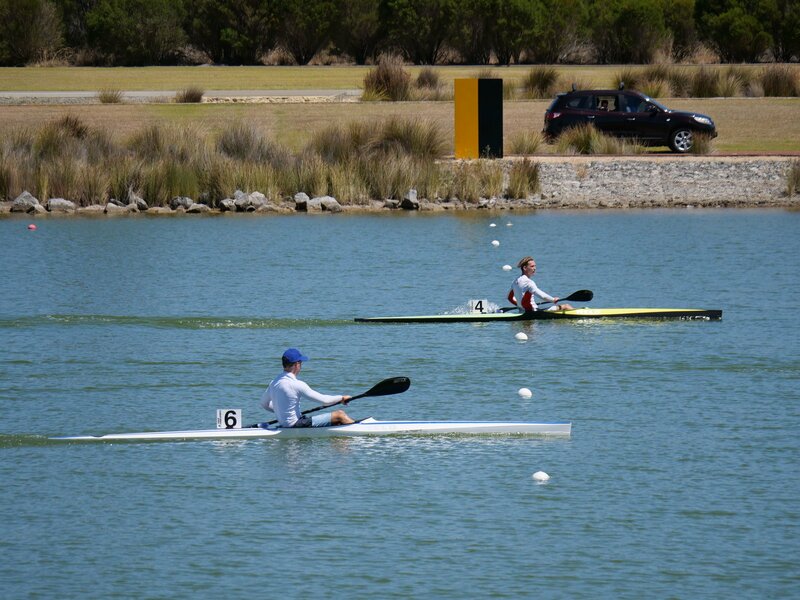 Brett and Lachlan were just behind in all three races and won silver in the K2 200m, 500m, and 1000m. 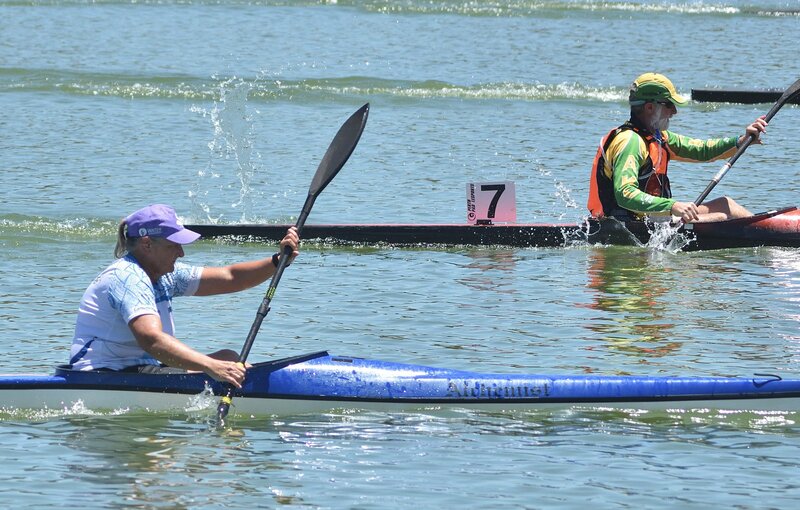 The Open Female class was almost taken out by Simone Wilson, who despite being relatively new to sprint kayaking, won gold in the K1 500m and K1 1000m events. Simone also won gold in every K2 event alongside Hariette Alexis. 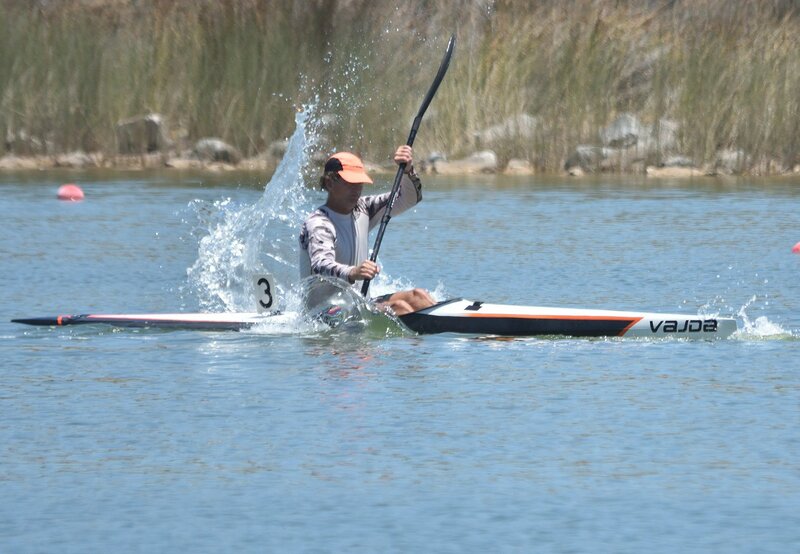 In the K1W 200m, Champion Lakes coach Tait Brown pulled ahead by exactly 1s to win 1st place, with Simone in 2nd and WASPS athlete Shania Smee in 3rd. 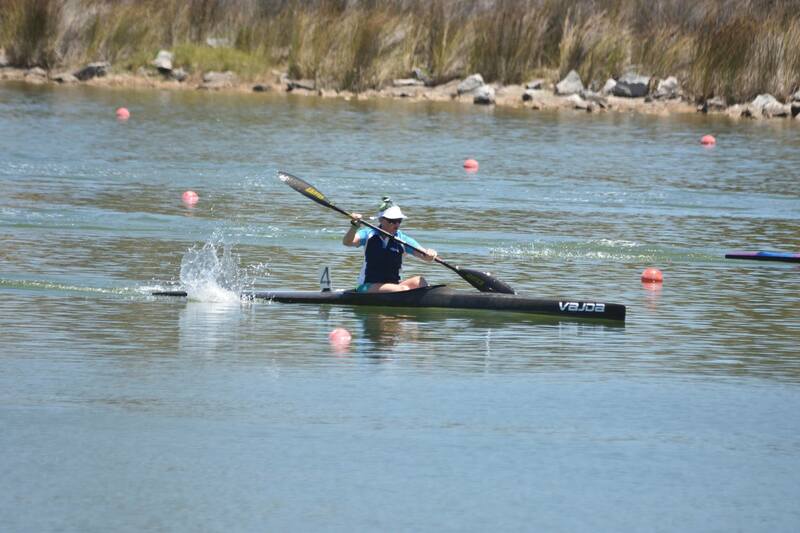 Page Wood also showed her strengths by taking home silver in the K1 500m and 1000m events. Another hotly contested class was the U18 Male. Kobe Wilson won the 500m event, followed by Luke Egger in 2nd and Chad Wiese in 3rd. Coming back from an injury didn’t stop Luke Egger who had an incredible 5s lead in the 1000m final to win gold. Kobe Wilson finished second, with Tom Green in 3rd by just 0.7 seconds. Kobe made a comeback by winning the 200m, followed by Tom Green in 2nd and a close 3rd for Chad Wiese. In the U16 Male class, Jeremy Alderson and Tim Hyde fought it out in every event for first place. Jeremy won the 500m and 1000m final, but it was Tim who pulled away by more than one second to win the 200m final. All five of these paddlers are in the WASPS program and are strong contestants for the 2019 Junior Sprint team and the 2019 Olympic Hopes team, so keep an eye on them at the National Championships here in March. Harriette Alexis claimed the title of U18 State Champion by not just winning gold in every K1 event, but all three K2 events as well. 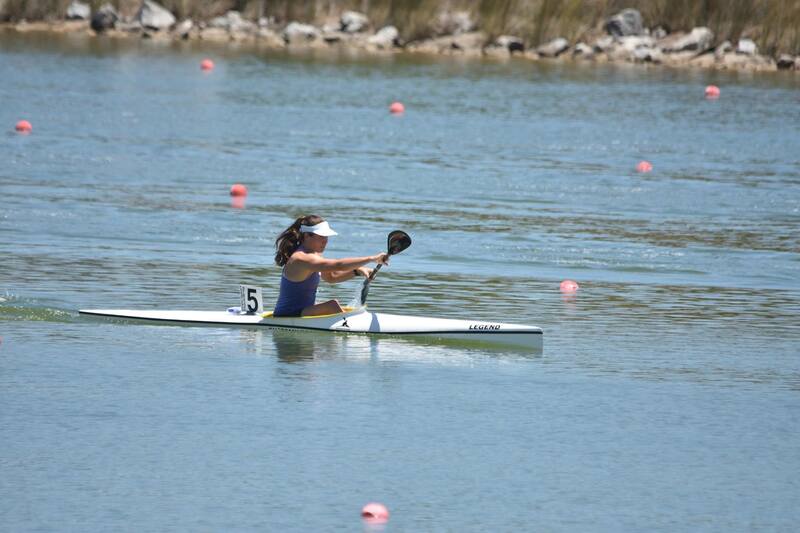 Close behind Hariette in the K1W 1000m was Angelina Good-Gerne, who also won silver in the 200m and 500m races. Selena Lloyd received bronze in the 500m and 1000m events, but it was River Armenti who proved stronger over the shorter 200m sprint. In the U16 Females, the gold medal was given to Harriet Brown in all three K1 races. TID athlete Eleanor Disselkoen received silver in the 500m and 200m and a bronze in the 1000m. Also coming from the TID program, Sabriel Denehy beat Eleanor in the 1000m to pick up a silver, and also two bronze’s in the 500m and 200m sprints. Hana Vanek and Emily Cook (both TID) paired up to win a gold in the K2 500m, but in the K2 200m Hana Vanek paddled with Harriet Brown to win silver. 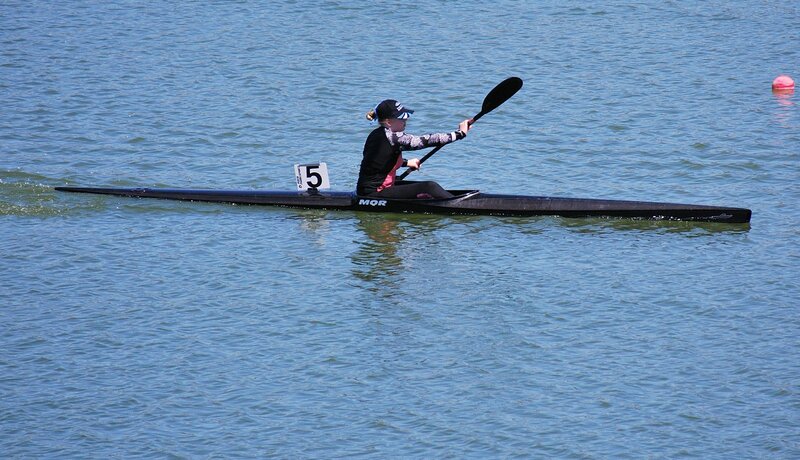 The U14’s had consistent winners, with Olivia Campbell winning all three female K1 races, and Botond Kaplan winning all three male K1 events. TID athlete Femke Negus was close behind in the WK1 200m and 1000m picking up silver medals, but an unfortunate disqualification in the 500m potentially cost her another. Julian McKinnon was also just behind Botond in the MK1, so look out for these up-and-coming athletes in the future. 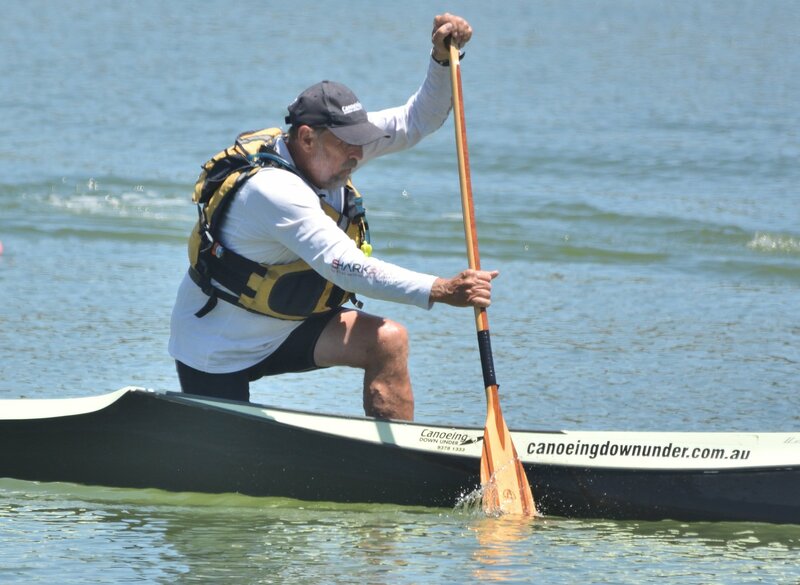 The State Championships saw a great number of master’s paddlers have a go at sprinting, and for many of them it was their first regatta. 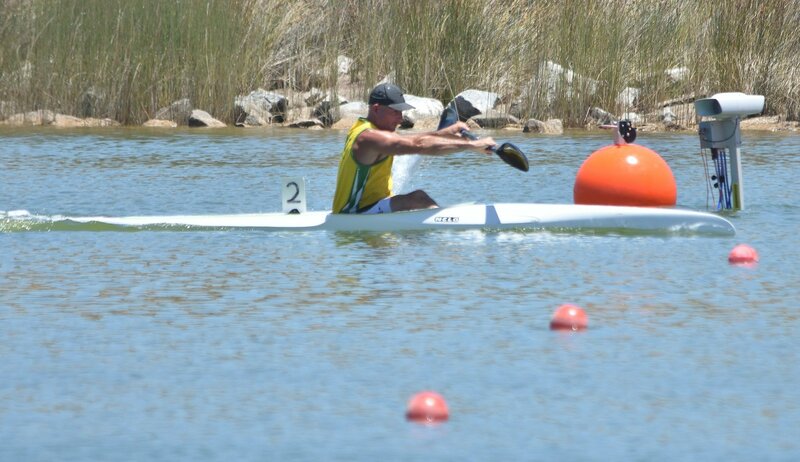 Brett McDonald was one of these paddlers, and even managed to take out a win in the Masters (35-54) 500m and 1000m sprints. 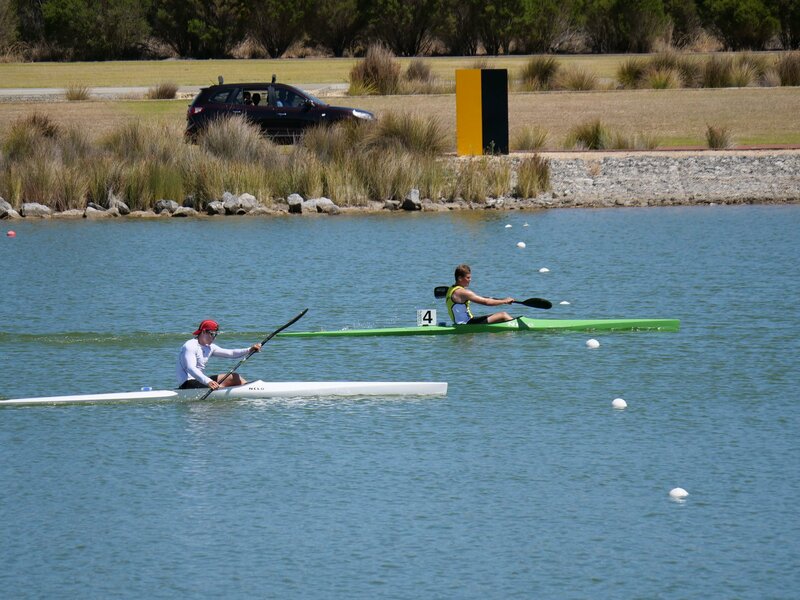 Gary Clarke had the lead in the K1 500m, but settled for silver after Brett picked up the pace in the final 100m. Gary also got a silver in the 1000m, but took home gold in the 200m event after showing his strength in shorter distances. Trevor Longwood finished 3rd in the 200m and 500m, but it was Atilla Kaplan who got the bronze in the 1000m. Erica McKnight also had her first crack at sprint racing, and took home two gold medals in the WK1 Masters 200m and 500m. 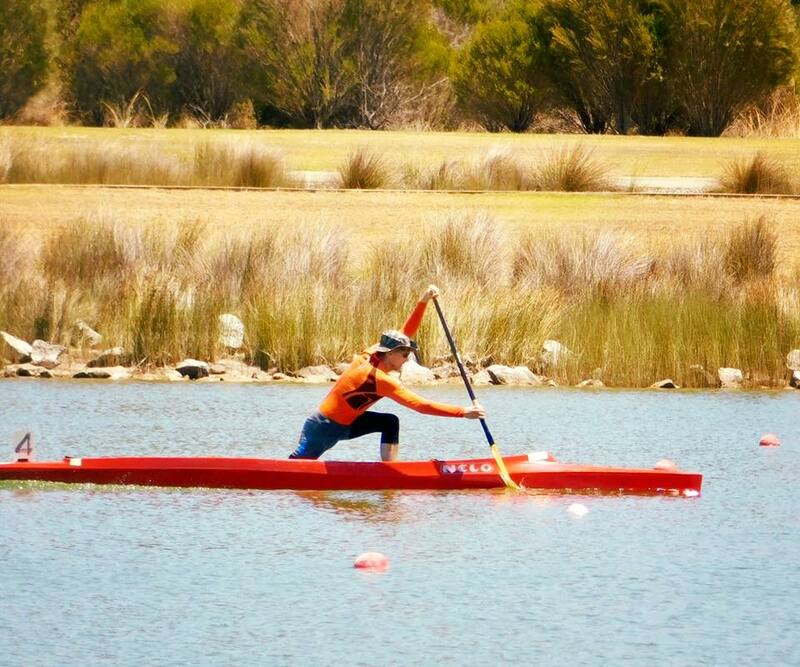 And if that wasn’t enough, she also finished in front of many of the male paddlers! Francis Nolan won gold in all three Masters (55-65) K1 races, with Ron Clarke taking home silver in 500m and 1000m, and a bronze in the 200m. David Griffiths got a bronze in the 500m and a silver in the 200m. Clarke earning himself 3rd place in the 200m and 500m. Terry Bolland‘s experience in very long distance expeditions meant he took home a bronze in the 1000m sprint. Congratulations to all Masters, seasoned and new, who came along to the State Championships. It was great to see regular marathon paddlers have a go at some shorter and faster races, and we hope to see more in the future! 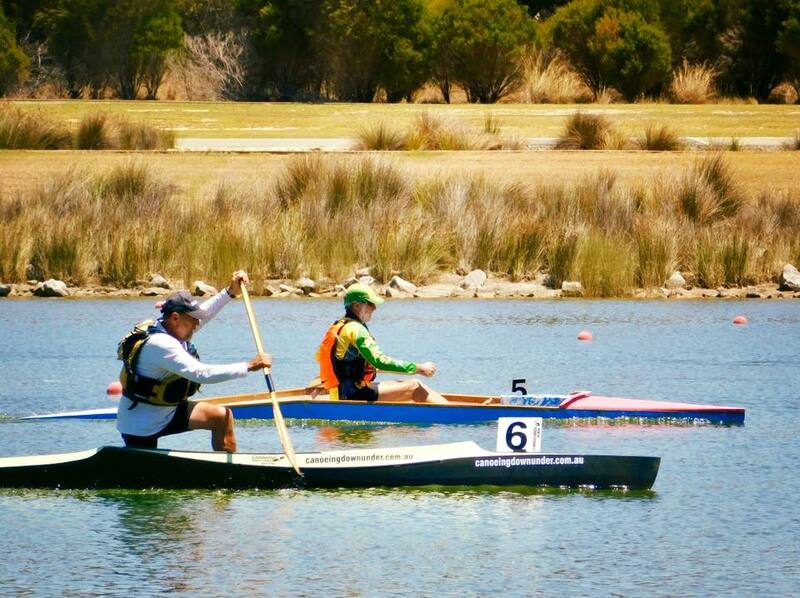 This year we also had three paddlers race in the C1 class, a very rare sight at a WA sprint regatta. Atilla Kaplan took home two gold medals in the distances raced; 200m and 500m, with Terry Bolland in second place. 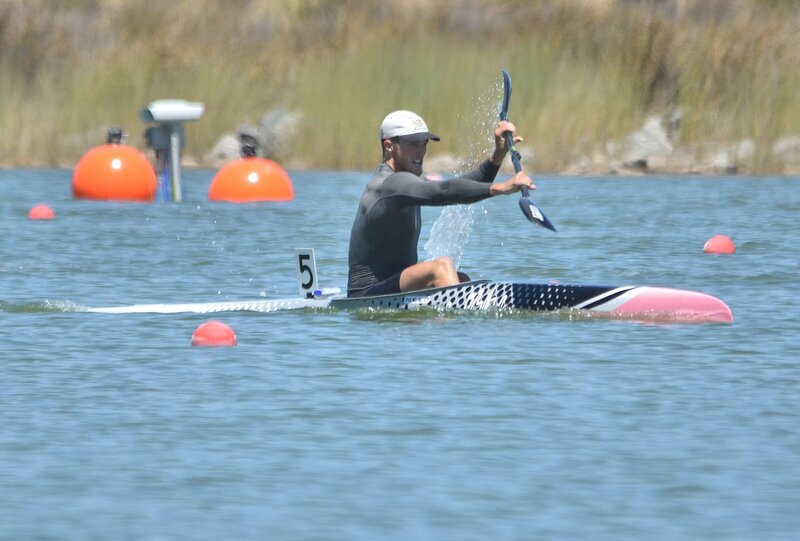 Peter Martin also had a go, finishing 3rd in both events. 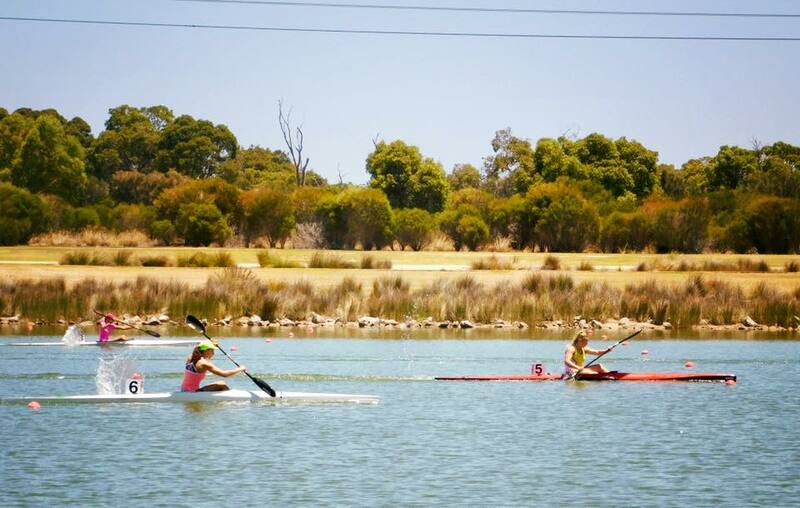 Paddle WA and the Sprint WA Committee would be very grateful if athletes and volunteers could complete this very short survey so we can improve future regattas! All results from the weekends State Championships can be viewed here. 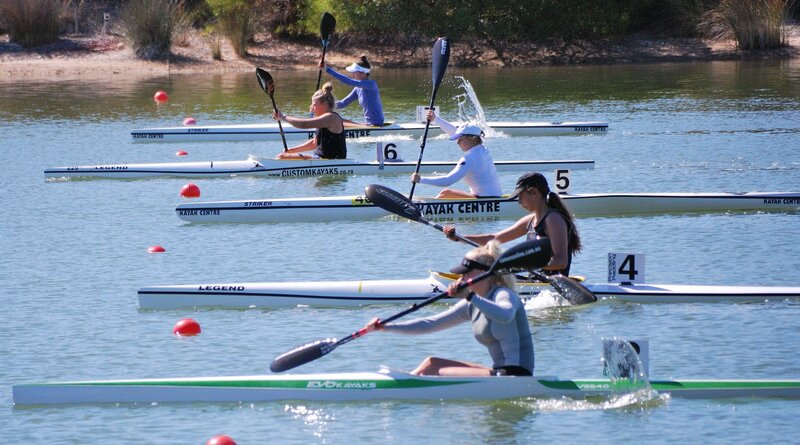 The next sprint regatta will take place at Champion Lakes on Sunday 3rd February.